This is the most spectacular dining experience I've ever had. Every course is a piece of art and tastes as amazing as it looks. Just off the casino floor, this fine-dining gem is one of the city's most highly touted restaurants. Chef Joel Robuchon has earned his "chef of the century" honor with this traditional French restaurant, and guests can expect not a meal but an experience. The sumptuous menu caters to the sophisticated palate, and the wine list has been called "liquid art." 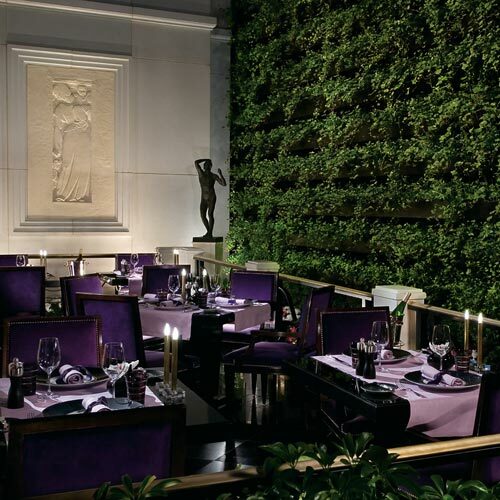 Genteel, flawless service prevails in the intimate and refined dining room. Fine Dining. Dinner served. full bar. Semiformal attire. Accessibility (Call).